Established in 2005, Brite Coatings has applied coating technology as its core competitiveness, to produce and commercialize Top Coated Films & PSA tapes over three decades and are well known as Self-Adhesive & Coated Product Specialists.We manufacture a wide range of products ranging from: specialty print media, speciality label stock, industrial tapes, speciality coated papers & films and also provide adhesive & other substrate coating services for our clients as per latest industrial standards in our ISO 9001:2015 certified plants. Brite Coatings is an innovator in the field of coating technologies with a long-term commitment, to remain at the forefront of our industry. We aim to be unsurpassed in quality and over the years have built up an impressive methodology, to maintain top quality standards employing lean Six Sigma principles. Our company has strived to achieve the recognition it enjoys today. 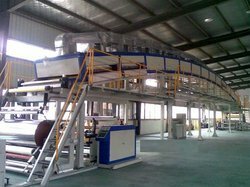 We serve our clients through two state of the art manufacturing facilities, with multiple automatic coating and slitting lines. Our products are known under the brand names of Durofix and BC Fix. 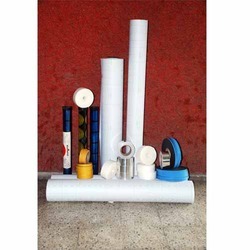 Our products find applications in various industries such as - Digital Printing, Packaging, Automobile, Air Conditioning, Refrigeration, Safety and Security, Membrane Switch, Healthcare and X-Ray Sheet, Paper, Steel, Plastic, Textile, Auto Ancillary Units and General Engineering Industries etc. We are well equipped to offer different Speciality & Adhesive Coating Services and Individual Product development for our clients with novel products. Brite Coatings has achieved its industrial growth by implementing strategies of research and development. Both our manufacturing facilities have an ISO 9001:2015 Quality Management System Certificate. All due process are technological, well-defined, and environmentally conscious. Through our field study with end users, in-depth understanding of customer''s requirements is acquired and after constant and repeated testing products are finalized and launched. Our Mission is to satisfy all stakeholders be they customers, employees and investors by continual development of people, products, processes and the environment. To provide a safe work environment to our workers, good returns to our investors and standardized products with great service to our customers.